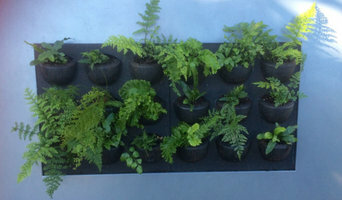 Greenly is a Melbourne based landscape company specialising in design, construction and maintenance of vertical gardens (green walls) and rooftop gardens (green roofs). 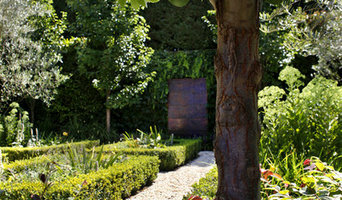 Ian Barker Gardens are a landscape design and construction company based in Canterbury, Victoria. Founded by Ian Barker in 1993, the Ian Barker Gardens team come with a wealth of experience and knowledge, offering you a level of professionalism that is unsurpassed in the landscaping industry. The artisans at Entanglements are into heavy metal in a big way. They spend their days caressing it into works of art for gardens around the world. For 10 years they’ve collaborated with architects, landscape gardeners and home renovators transforming under-performing outdoor areas into exquisite sanctuaries. Entanglements custom make metal sculptures, decorative screens, water features, fire pits, pergolas, trellises, in fact, almost anything you can imagine. Clients often approach them with a rough idea, a sketch, or a photo of a space that needs help and Entanglements’ in-house designers work with them to realise their vision. Coolabah are recognised within the industry as second to none in terms of landscape construction. Collectively; our team boasts in excess of 200 combined years of experience. We are Registered Building Practitioners with the Victorian Building Authority VBA, proud members of Master builder association of Victoria and an active member of the Landscaping Victoria (LV). We take pride in delivering nothing but the best installations of above and in ground concrete pools. When constructing your swimming pool our design and construction team work together closely to consider all aspects of your property to install a pool that functions perfectly and adds to the aesthetic appeal of your property. 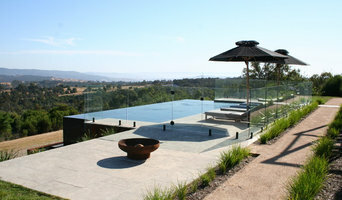 Coolabah strives to unite high quality construction techniques with contemporary pool and landscape design. Stem Landscape Architecture & Design was created for those who are looking for designs that are respective of the environment and to integrate Australia’s native flora and fauna into a design for people to unwind and reconnect with nature. It is a firm based on principles surrounding conservation bringing Australia's unique natural environment into urban backyards; unifying rehabilitation with the opportunity for people to once again experience nature in everyday life. Jim Fogarty graduated in 1992 from Burnley Horticultural College (Melbourne University) having completed the Associate Diploma of Applied Science in Horticulture, majoring in landscape design & construction. Since then he has forged a successful career designing residential gardens in Melbourne. Project sizes range from small front gardens and outdoor rooms to coastal gardens and larger estates. In 2016 Jim became an AILA registered Landscape Architect. Designs are completed using the latest 3D technology using Archicad software that is now used by many Architectural firms. In May 2009, Jim won the award for Best Design for his Australian Show Garden at the World Garden Competition in Shizuoka Prefecture, Japan. At the Chelsea Flower Show in 2011, Jim designed an Australian Show Garden for the Royal Botanic Gardens Melbourne that won a Gold medal on the Main Avenue. At the 2011 Gardening World Cup in Japan, Jim was awarded ‘Best in Show’ winning the Gardening World Cup for Australia. 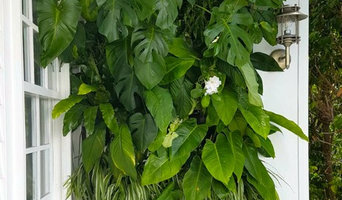 Jim has been awarded Gold Medals at the Singapore Garden Festival in 2006, 2008, 2010, 2014 & 2018 and has received the Award for Horticultural Excellence in 2006, 2010 & 2014. Jim was awarded a Gold Medal for his Gallipoli Garden at the Australian Garden Show Sydney 2013. In 2014 Jim designed ‘Essence of Australia’ for the Royal Botanic Gardens Melbourne that was the first Australian themed garden at the RHS Hampton Court Palace Flower Show and was awarded a Gold Medal as well as the prestigious Tudor Rose Award for the Best Show Garden. Jim has been a regular garden design writer for various publications in Australia and is the current National President of the Horticultural Media Association of Australia. Genus specialises in the design and detailing of unique residential gardens throughout Melbourne and Victoria. 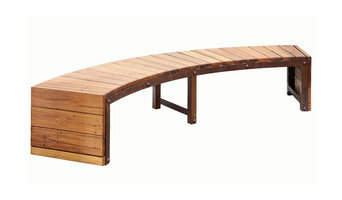 Garden design, construction and maintenance business established in 2007 servicing Melbourne metro and country Victoria. Designing & creating unique, resilient and low maintenance gardens. Nathan Burkett Design (NBD) began in 2004 preparing landscape design concepts for design focused homeowners and businesses throughout Melbourne. The gardens which Nathan and his dedicated team produce has forged an enviable reputation for timeless and intelligent gardens that are entirely original and functional. Today, NBD offer a complete service including Landscape Design, Landscape Construction, Landscape Garden Maintenance and many more design related services providing a low-fuss, high quality solution for busy people. Lisa Ellis Gardens is a multi-award winning design studio based in Melbourne. Since its establishment in 2004, the studio has formed strong ties within the industry – and is now a leader in its field. With a diverse portfolio of design work, the studio lives and breathes its strong values in every project. The studio’s landscape designers, landscape architects and horticulturalists bring their specialist expertise to challenge, inspire and extend each other every day. By combining diverse skills and knowledge, Lisa Ellis Gardens delivers elegant gardens that are practical, enduring and bespoke. Using a consistent design approach refined over many years, the studio blends true collaboration, proven processes and full transparency – from concept to delivery. Lisa Ellis Gardens partners with leading architects and interior designers to create synergy between the built form and its context. The studio is also well-versed in designing gardens for country and coastal locations, and skilled in specifying plants that thrive in a range of conditions. The team’s projects have appeared in many prestigious publications including House and Garden, Home Beautiful, The Age, The Australian, The Weekend Australian Magazine, Herald Sun and Green Magazine. They have also received coverage on ABC TV, Channel 9, Channel 7, SBS and more. At Whyte Gardens, we are passionate about bringing your vision for the perfect garden to life. With over 20 years' experience, Andrew Whyte and his team are amongst the best landscape designers. We specialise in the design and construction of high-end gardens, with a focus on clean lines and low-maintenance. Our gardens bring a sense of order and calm that is both functional and aesthetic. Our aim is to make the process of creating your garden as smooth as possible, handling every aspect so that all you have to do is enjoy the space. At Botanical Traditions we view all projects - residential, commercial or early childhood centres - as unique. We achieve each design objective with a strong focus on environmentally sustainable design and construction. Our landscape design team consists of landscape architects, horticulturists and strategic thinkers who are dedicated to mixing art with nature, design and technology. A great garden should add value to your home, but mainly it is your special place to enjoy and relax in. We listen to your needs and work with you to deliver that special space. Our garden designs are a reflection of our clients. They are as unique and individual as the people who enjoy them. A garden is an extension of your home, let us work with you and make it something amazing.